How I learned to stop worrying and just enjoy the season. Ah, Christmas; the most wonderful time of year. The season of anticipation, joy, hope, love; and of stress, anxiety, loneliness and depression, is upon us. It’s that time of year when we raise our expectations so high that we come crashing to the ground when things don’t turn out the way we had hoped. So, maybe this year it’s time to readjust our thinking about what Christmas means. 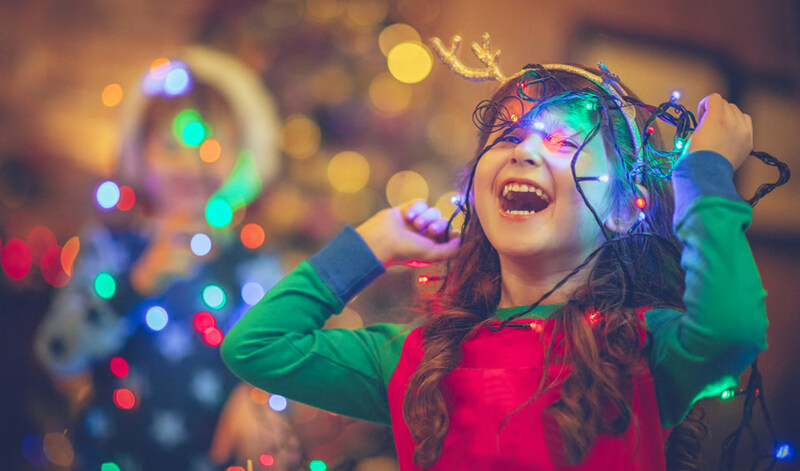 What brings you joy at Christmas? What things make you happy when you think about this season? And why not pursue those things instead of focusing on the ones that cause you grief? While thinking about this subject I conducted a mini-survey of family and friends to find out what made them smile when they thought of Christmas. Living in the northern hemisphere, many people mentioned the first snow that covers the ground in soft white, turning the world into a magical fairy land. There were memories of people walking down the street, smiling as they dodged around each other, arms laden with shopping bags; of children squealing in delight as they looked through store windows at the displays laid out before them. In short, a lot of people remember Christmas as every Christmas movie and television special they have ever seen. That statement is not as cynical as it first seems. The anticipation of Christmas fills us with a hopeful expectancy; we want to have the experience that we see on our screens, or hear as we listen to Christmas carols on the radio. We want to live in a world where everything works out, and where there is a little bit of magic in our everyday lives. I forgot that the real reason for this season is not found in flawlessly decorated trees, or in making sure the gifts are wrapped with exquisite paper and bows. One year, as I watched their little faces fall, I decided to just let them hang the decorations wherever they liked. Oh, but I was sneaky. When they went to bed, I rearranged everything so it was done the way I wanted. They were young enough not to notice, but that year, every time I looked at the tree, I felt a sense of guilt and shame wash over me. Why did I redecorate the tree? Because I had gotten the idea somewhere that everything had to be picture perfect for Christmas to be considered a success. I forgot what really mattered to me and my family. I forgot that the real reason for this season is not found in flawlessly decorated trees, or in making sure the gifts are wrapped with exquisite paper and bows, but in the totally unexpected appearance among us of Love in person, and his mercy and goodwill towards all humans on Earth. I placed a huge amount of stress on myself, and my loved ones, that never needed to be there. And joy? There was no joy in that tree for me that Christmas. The following year, I decided to make a few changes. Instead of needing everything to be perfect, I let myself simply enter into the beauty and the joy of the season. And so, I began to anticipate the first snow falling from the sky. I stopped getting angry and antsy standing in lines to pay for Christmas gifts. I learned to stop and look in the store windows and watch the displays with the glee of little children. When we went to find our Christmas tree, I stood among them, breathing deep, letting the scent waft over me, and let the rest of the family pick the tree they wanted, without insisting on the one I thought would look best. That year the only things I put on the tree were a few decorations the kids handed me. Instead, I sat back with my husband and watched as the tree was transformed before my eyes into a beautiful display of glittering balls, trinkets, and the decorations the children had made over the years. I listened to them laughing and reminiscing about Christmases past, and wondering what this year would bring for them. I marveled at their ability to simply be present in the moment, enjoying themselves and each other. And I found that I was happy because they were happy. The tree was beautiful that year, and has been every year since. I don’t decorate anymore, not even the rest of the house; I let the kids decide how they want our home to look. Instead, I concentrate on the things about Christmas that bring me joy — listening to Christmas music on the radio, watching favorite Christmas specials (How The Grinch Stole Christmas is still at the top of my list), enjoying the warmth of the fire on a wintry evening. I have learned that I will never be perfect. Something will not go as planned, someone will get upset with someone else, or the dog’s tail will knock over the tree. Years ago, I had that “Christmas feeling” as soon as December began. I was one of those annoying people who loved anything having to do with Christmas. But somewhere along the way, I changed. I became more cynical, more demanding, less filled with the “Christmas spirit” as I tried to control the holiday for my family. I wanted perfection, thinking that the more I was like Martha Stewart, the more my family would appreciate Christmas. I took away their joy to create the memories I thought they should have. I’m older now. And with age comes new understanding of what is really important in life. With that acceptance comes relief from the stress and pressure of providing a “perfect” Christmas for my family. I have learned that I will never be perfect. Something will not go as planned, someone will get upset with someone else, or the dog’s tail will knock over the tree. But now, I look forward to the whole month of December, and the anticipation of everything this season brings. I can’t wait for the quiet joy of a Christmas Eve service, the raucous chaos of Christmas morning, eating too much turkey and pie, and laughing so hard my sides hurt as I spend the day with my loved ones. I have come to accept that I am a hopeful romantic, something I denied for far too long. And that means that instead of feeling like Ebenezer Scrooge all month, I can be as jolly as good ol’ Saint Nick himself. Originally published at MercatorNet.com. Reprinted with permission.